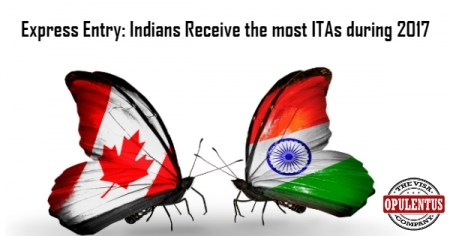 In 2017, Indians received most ITAs compared to citizens of other countries. 36,310 Indians received ITAs in 2017, corresponding to 42% of the total ITAs issued. They were followed by Citizens of China receiving nearly 7,500 ITAs. Nigerians received more than 5,000 ITAs. Thus the success story of Indian citizens continued in the Express Entry in 2017 and the present year also will see the same figures.